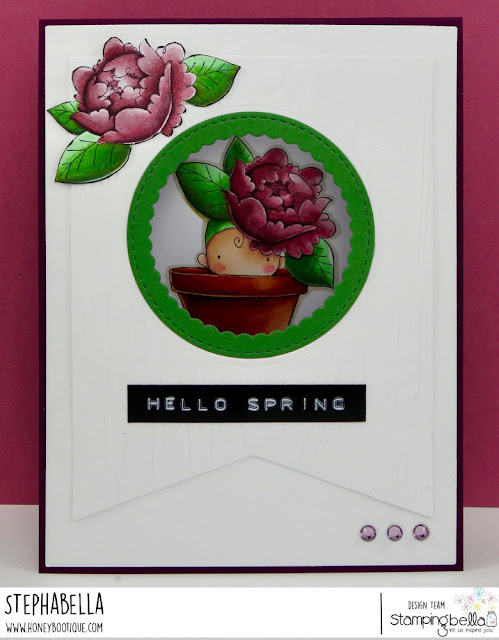 Honey Bootique: Stamping Bella- Hey Baby Peony Baby In A Pot! Stamping Bella- Hey Baby Peony Baby In A Pot! The first card I wanted to make was using an image from the new range from the new Stamping Bella release- the Hey Baby range. 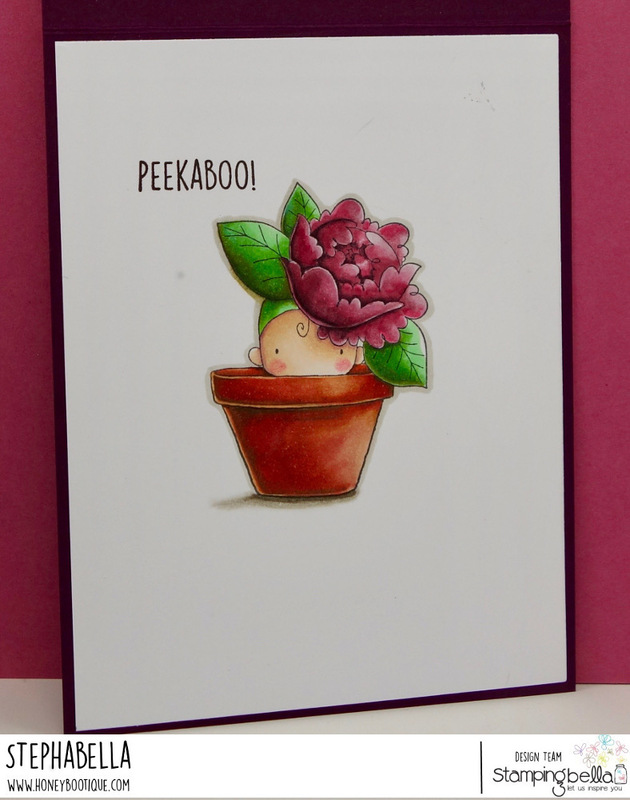 Straightaway I knew I wanted to do a peekaboo card with this image! I coloured with copics and added some pink Lyra pencil for cheeks. I then stamped the sentiment. 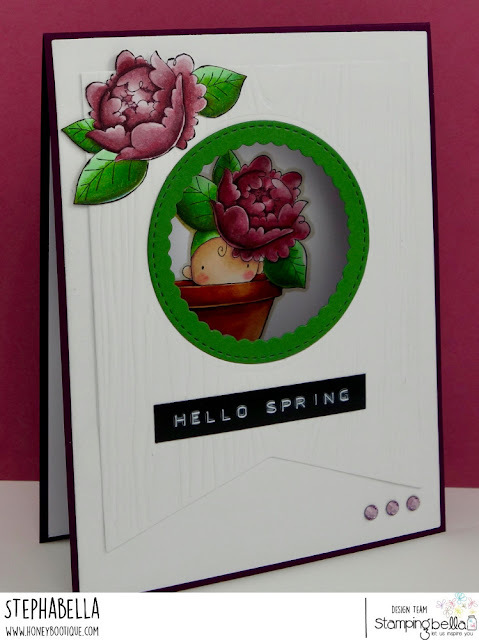 I also stamped out and additional flower, coloured and fussy cut around leaving no white space. I made my card blank out of coloured card and adhered the image to the inside portion of the card. I then adhered a white panel to the front of the card. I embossed white card using a wood-panel embossing folder then cut into a large banner. I adhered all these layers together and then die-cut the peek-a-boo window through all the layers. I added the additional flower on top and using a Dymo machine to type the sentiment. Finally added some hot fix crystals. I just LOVE this new range- so adorable!